We spent a long July 10 weekend in Paso Robles. Naturally we spent two afternoons visiting wineries. Our exciting newcomer is Field Recordings. More on those folks in a minute. 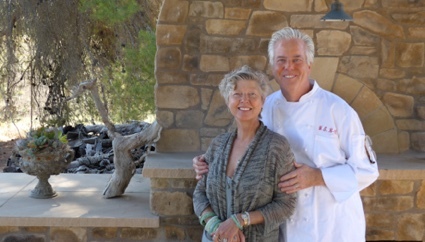 William Carter and Katherine Bloxsom-Carter purchased The Canyon Villa from former Innkeepers Diane and Jim Babcock in early April. 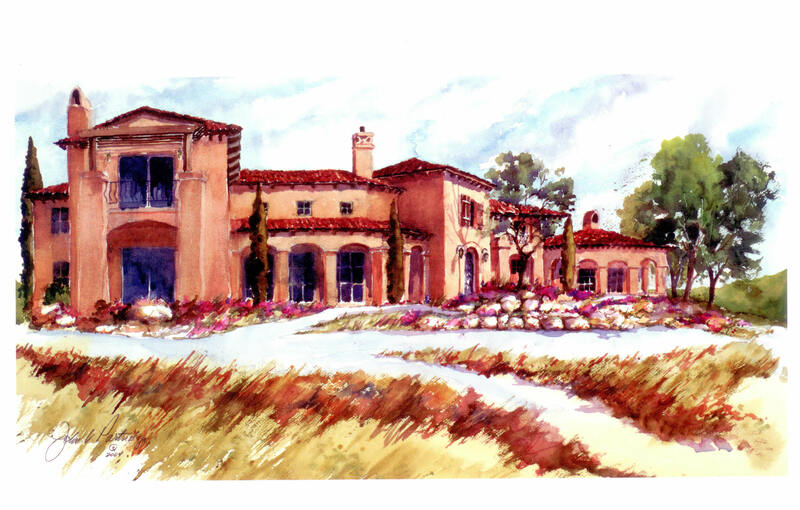 The Canyon Villa plans to upgrade the guest experience by offering unique dining experiences, winemaker-led private tastings, holiday celebrations and special weekend packages. William and Katherine are absolutely delightful hosts. Pizzas and other dishes from the wood-fired pizza oven are now regular events. For those staying at least three nights, they offer a Sunday supper at no additional charge. They have added catering services and are planning to host business events during the workweek. We are pleased to continue our five-star rating for this wonderful experience. Field Recordings is 34-year old winemaker Andrew Jones’ personal catalog of the people and places he values most. 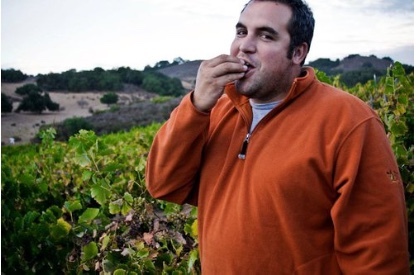 Spending his days as a vine nursery fieldman planning and planting vineyards for farmers all over California, Andrew is sometimes offered small lots of their best fruit on the side. Having stood in just about every vineyard on the Central Coast, he has a keen eye for diamonds in the rough: sites that are unknown or under-appreciated but hold enormous untapped potential. As friendships are made and opportunities are embraced, Andrew produces small quantities of soulful wine from these unusual, quiet vineyards. Taken from photographs of starlings in flight, the artwork for the Field Recordings label documents natural, un-staged patterns that can never be repeated nor replicated. In the same way, each bottle of Field Recordings Wine captures the inimitable circumstances of each vineyard, vintage, and friendship that made it possible. Field Recordings’s annual production varies wildly depending on where Andrew can get grapes he can work with. They make 50 wines, with 80% of their production going into cans. Their biggest markets are Chicago and Texas. Canned wine for sporting events that don’t allow glass bottles! 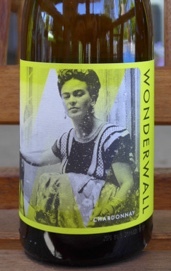 The winery boasts two secondary labels, Wonderwall and Fiction. These are vineyard-specific, but the Wonderwall label is exclusively reserved for pinot noir and chardonnay. Before diving into the reviews, we have to note one thing. Each and every one of these wines is a bargain. We’ll especially recommend the Wonderwall chardonnay. To our tastes (and economist minds) it competed well with chardonnays priced 50 percent higher — in the $30 range. We started with the 2014 chenin blanc ($22). Unusually, this wine was aged in acacia barrels. And it worked. This is close to a French Chablis but without the minerality. It’s light, refreshing, and very quaffable. Next up was the 2014 Wonderwall chardonnay from the Spanish Springs vineyard in Edna Valley ($22). Andrew put this wine in barrels just long enough for some oak aromas. But there is none on the palate. Flavors of lemon cream, hints of lime and pineapple lead to a mineral finish. This is a major bargain, competing easily with wines priced over $30. The 2013 tempranillo ($18) was from the Ventucopa vineyard in Santa Barbara County. We’ve tasted tempranillo before and even bought a few bottles. But this is absolutely unique. Aromas of boysenberries and earth are followed by a flavor fruit bomb including ripe figs and oranges with a hint of cranberry. The 2014 Wonderwall pinot noir ($22) is also from the Spanish Springs vineyard in Edna Valley. Aromas of black cherries and cola are followed by smoke and pepper on the palate. A hint of cinnamon adds to a long, delightful finish. A wine labeled 2014 carignan ($25) was actually blended with 25% cinsault. Yes, we know, this percentage is well within legal limits. And the cinsault is clearly identified on the label. Moral: read the label! The grapes are from the Camp 4 vineyard in the Santa Ynez Valley near Los Olivos. The nose is rose petals, eucalyptus, and spice, with a strawberry, cotton candy, and licorice palate. Inevitably, there will be a cabernet sauvignon in any wine tasting. This one was a 2013 ($29) from the Grassini Vineyard in Santa Barbara. The wine is blended with 12% petit verdot, putting it 2/5 of the way to the traditional Bordeaux blend. Thankfully, the wine has pure cabernet sauvignon character with no green pepper. This is about as good as a cabernet gets. A 2014 “Hinterland” cabernet franc ($22) was truly amazing. Blueberry and blackberry aromas followed by more of both on the palate. On a trip like this we’re lucky to find two or three good wineries that are new to us. This trip was exceptional. A future post will discuss the others, actually about half a dozen. But Field Recordings and the revitalized Canyon Villa were too good to wait. Stay tuned for more from Paso Robles.